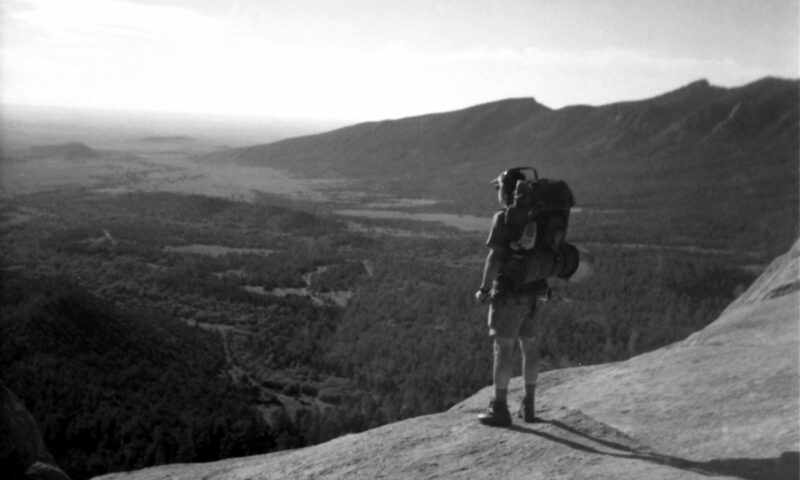 History could be considered the most influential part of life. History can be broken into multiple time periods. One time period was the Victorian era. This era was when Queen Victoria was in rule of the United Kingdom. During the Victorian era, an abundance of new style arose. This style was later incorporated into furniture. Furniture is an overlooked part of any building, but without it, there would be no place to sit, no place to lay, no place to put anything. (Excluding the floor…) Victorian furniture had eccentric design qualities, it affected the furniture industry, and it has changed over time in multiple ways. Victorian furniture has a lot of important characteristics that make it stand out. Victorian furniture often included a lot of detailed flourishes.. Victorian furniture incorporated elegant carvings, swirls, and decoration. Some of the carving designs consist of natural images. For example, floral patterns, leafy patterns, and curving lines. Victorian furniture also consists of angular shapes and lines that go along with the carvings. A lot of Victorian furniture had fancy embellishments/ornaments on them. For example, a lot of Victorian pieces’ embellishments consist of various forms of indentations, string, and layers of material. This sort of attention to detail added to the beauty of the Victorian furniture. Victorian furniture was made out of several types of materials. 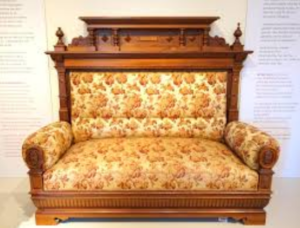 Most Victorian furniture was made of various types of wood. Some of the woods were oak, walnut, mahogany, and rosewood. Marble was used to top off a few tabletops. Victorian furniture had very eccentric upholstery. The popular cloth used consisted of heavy silk, velvets, and embroidery in deep colors. Usually, the back of chairs/couches were often tufted in diamond patterns. The fabrics usually depicted/showed floral designs to match with the rest of the furniture/decorations. A lot of the Victorian furniture was characterized by large sideboards, heavy pedestals, and pieces in bulkier proportions. Another uniqueness of Victorian furniture was the short seats, low armrests or armless chairs in all. The Victorian era changed furniture-making forever. 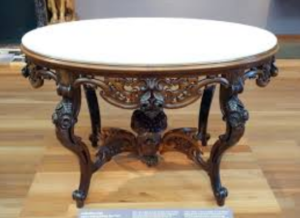 The Victorian era and the Industrial Revolution played into each other’s hands, thus causing Victorian furniture to be the original furniture to be produced. Workers did not have direct contact with the customers anymore. 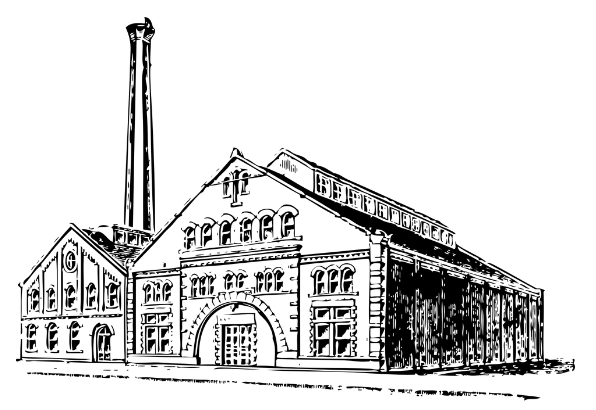 Craftsmen worked in facilities while building multiple versions of the same piece of furniture. The craftsman took furniture that was made before the Victorian era, and gave it new life. Furniture from the older times was designed differently and made popular. The Victorian era sort of recycled old furniture into something that is more beautiful. Ever since then, furniture has always been produced in factories, and some furniture is still being upcycled today. Victorian furniture has not always been the same as you would see today. The Victorian furniture period lasted from 1830-1901. In 1830-1860, the “Gothic Revival” period happened. The furniture during this time had arches, pyramids, and curled leaves. Next, was the “Rococo revival” period through 1840 and 1865. The French had a large influence then, so there was a lot of fruit and strong curves. Then there was the “Renaissance Revival” period in 1860-1890 where a lot of human figures were incorporated. 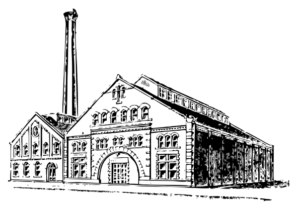 Finally, the “Eastlake and Aesthetic” movement took place during 1880-1900. This is when natural elements started making appearances, by incorporating leaves and wood. 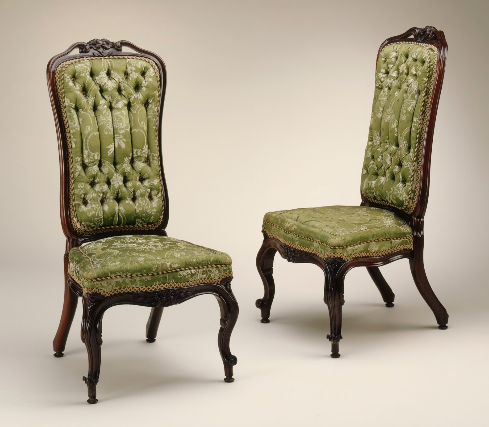 Victorian furniture was all of the craze during the rule of Queen Victoria. (Clever name right?) This means that Victorian furniture was located in all of the popular buildings. One example of this would be the Crystal Palace. The interior of the Crystal Palace, included very ornate chairs, couches, and desks. Furthermore, a lot of furniture was stored in everyday houses. Ranging from the bedroom to the kitchen, furniture was everywhere. The furniture in houses ranged from oak worktops to mahogany dressers, while always keeping a unique style. 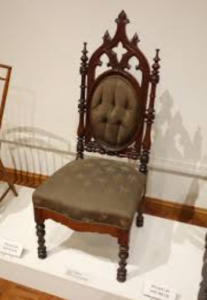 “5 Important Characteristics of Victorian Furniture.” Inventive Blog Collections, 10 Feb. 2017, inventiveblogcollections.wordpress.com/2015/08/28/5-important-characteristics-of-victorian-furniture/. Brenner, Laurie. “Characteristics of Victorian Furniture | Hunker.” Hunker.com, Hunker, 17 July 2017, www.hunker.com/13412491/characteristics-of-victorian-furniture. Furniture – Gothic Revival, buffaloah.com/f/fstyles/gothic/gothicfurn.html. Furniture that gave Victorian style a bad name, www.victorianweb.org/victorian/art/design/furniture/gallery2.html. “CC Search.” CC Search, search.creativecommons.org/. “Main Page.” Wikimedia Commons, commons.wikimedia.org/wiki/Main_Page.